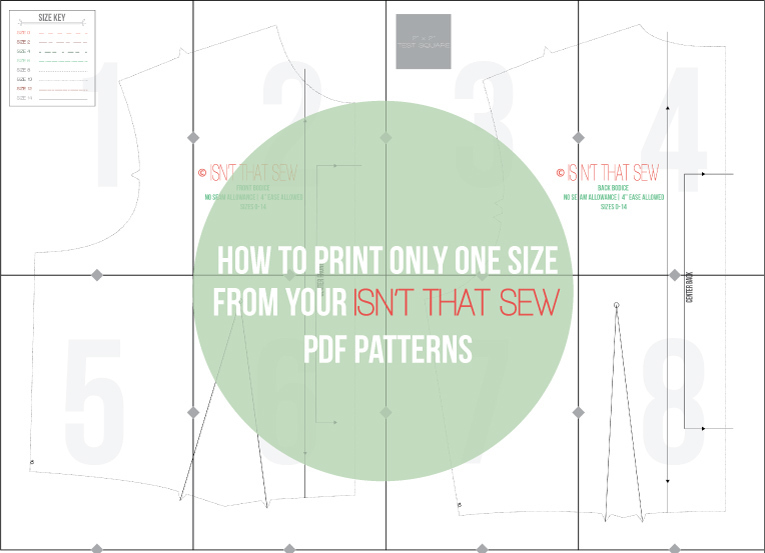 A simple and quick tutorial on how to print only one size from your Isn’t that Sew PDF Patterns. 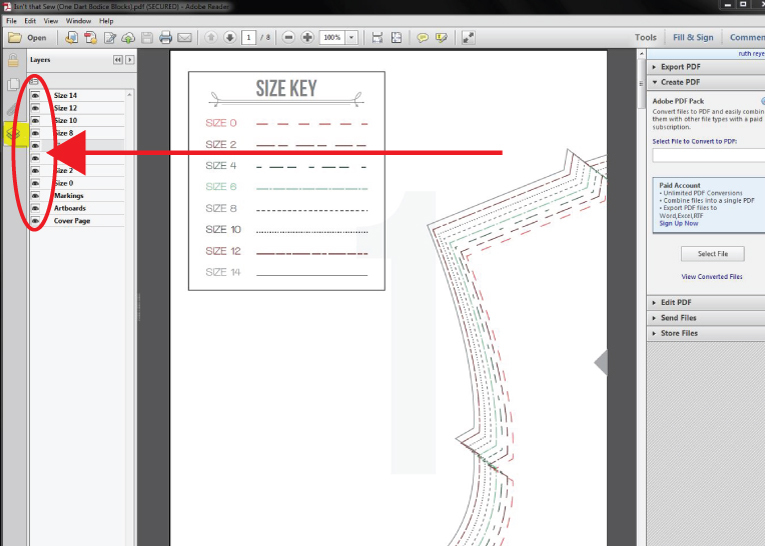 Open the pattern file in Adobe Reader, you can download it for free HERE. If you already have Adobe Reader, make sure your running the most current version. 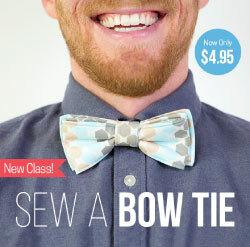 If not, you’ll need to update it. Next, click the layers icon on the left side of the screen. It looks like a stack of paper. All of the layers should now be visible. 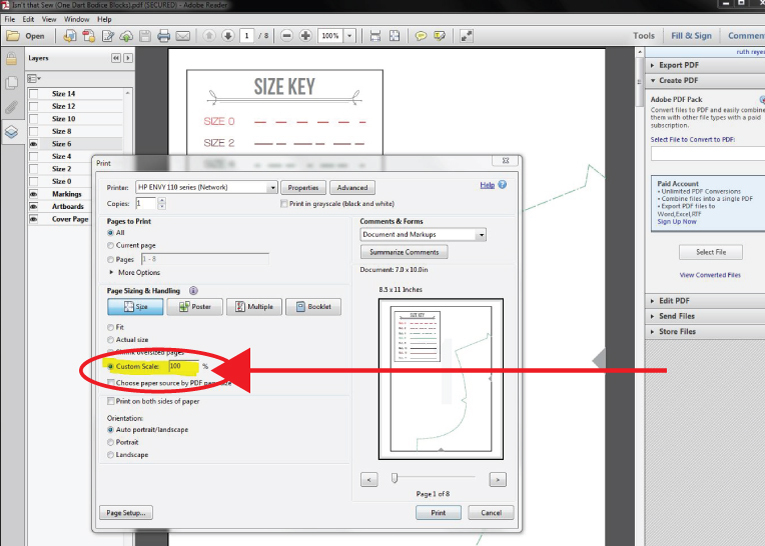 You can turn off any size layers that you do not need. 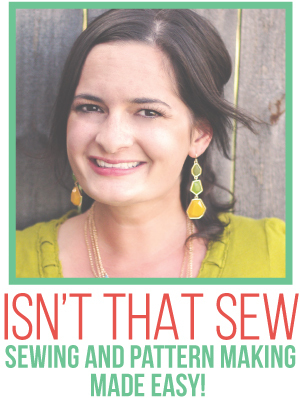 Simply click the little eyeball icon to turn layers on and off. DO NOT turn of the artboards or markings layer or you will loose all of the vital information for assembling your pattern, as well as all of the pattern markings. 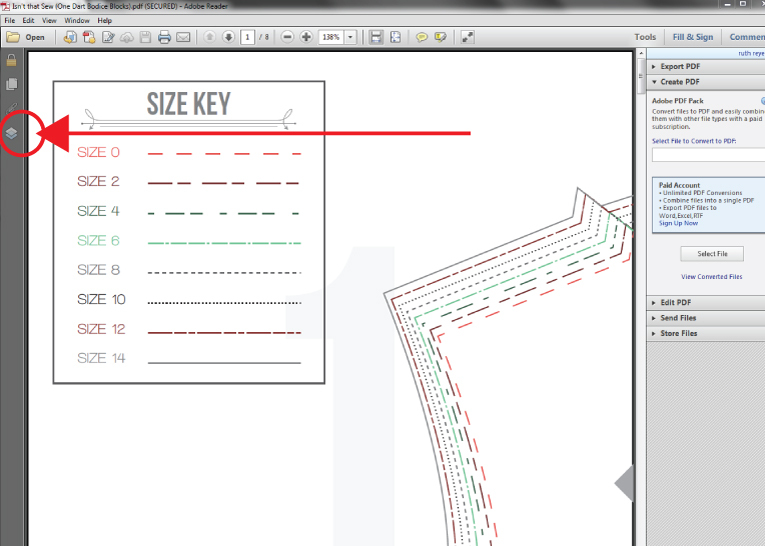 Once you have only the layers activated that you want to print, go to File>Print. 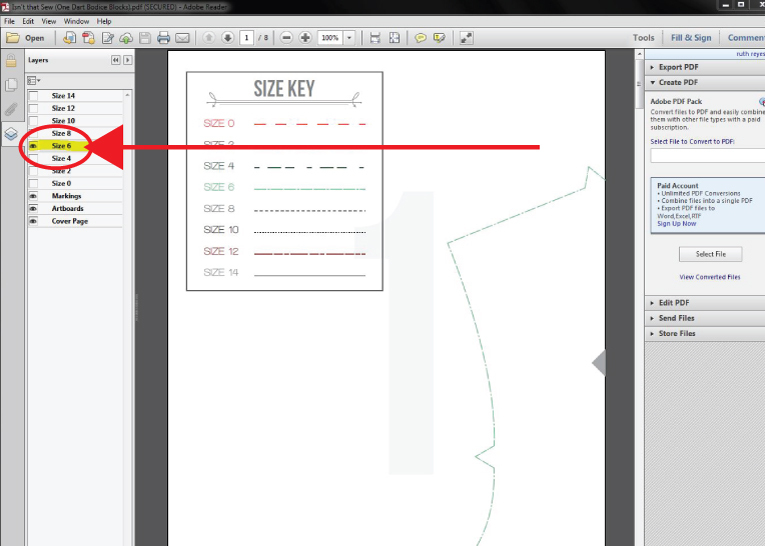 In the print menu, make sure to set custom scale to 100%. 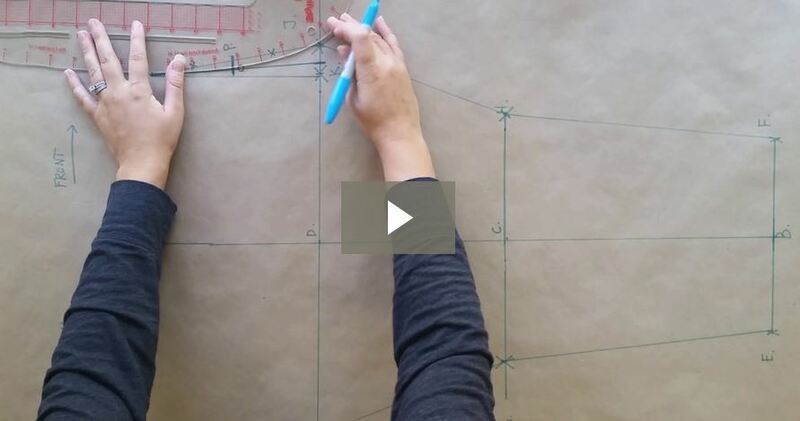 This is probably the most important step to ensure you pattern prints at actual size.